Large double room situated on the first floor. 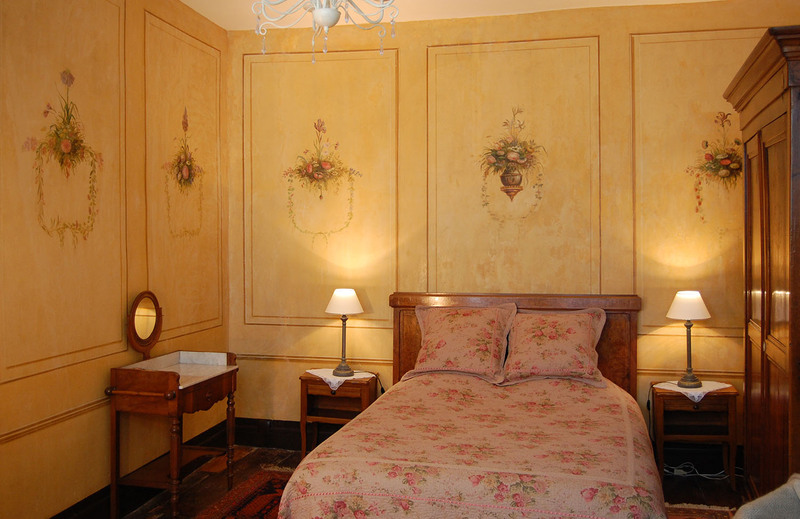 In this room, which is used by guests only, the current owner once decided to remove the rather faded wallpaper to discover – what a surprise! – an original and almost intact eighteenth century fresco, representing wild flower bouquets.